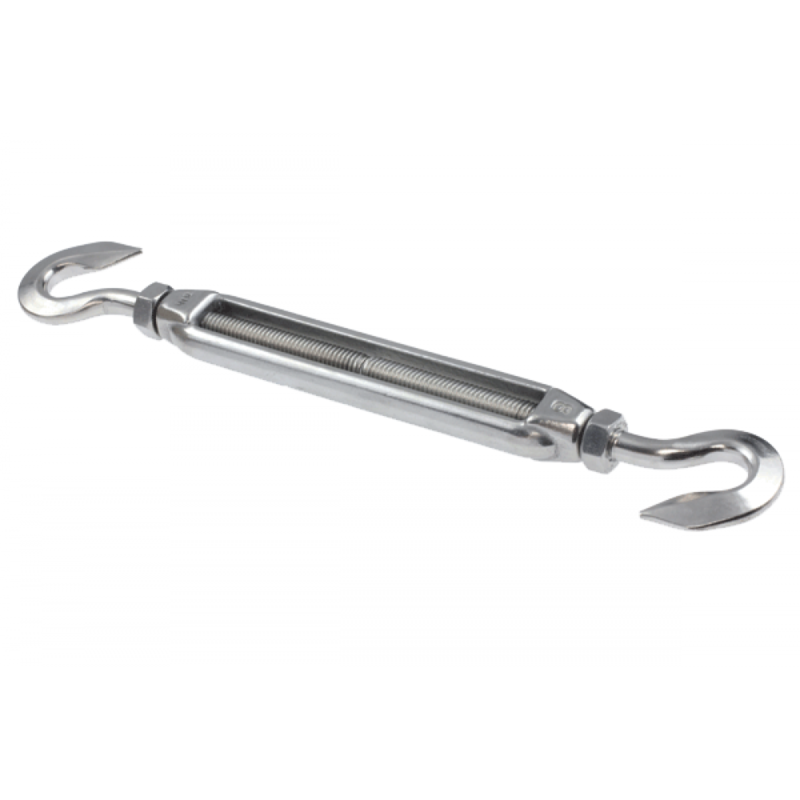 A Hook/Hook Turnbuckle consists of two (2) threaded AISI 316 grade stainless steel Threaded Hooks screwed into each end of a cast stainless steel frame, or Turnbuckle. Miami Stainless Threaded Hooks are forged AISI 316 marine grade stainless steel and designed to attach to a wide range of fixtures and fittings. Miami Stainless Turnbuckles Hook/Hook, are specifically suited for adjusting the tension and length of stainless steel wire rope, balustrade systems and other tensioning methods.